Laurencekirk is approximately 30 miles south of Aberdeen. 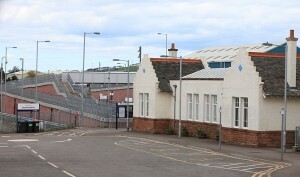 Its main transport link is the railway station, with several trains a day from Aberdeen and Dyce, which is by the airport. Trains also stop at Montrose (10 miles) and Stonehaven (15 miles). For local travel, Fordoun and Auchenblae are served by the MW Nicoll buses that journey between Laurencekirk and Stonehaven. There are also occasional buses from Laurencekirk to Luthermuir, and a Friday service to Arbuthnott. For the visitor, we’d recommend a car, as rural transport is limited.